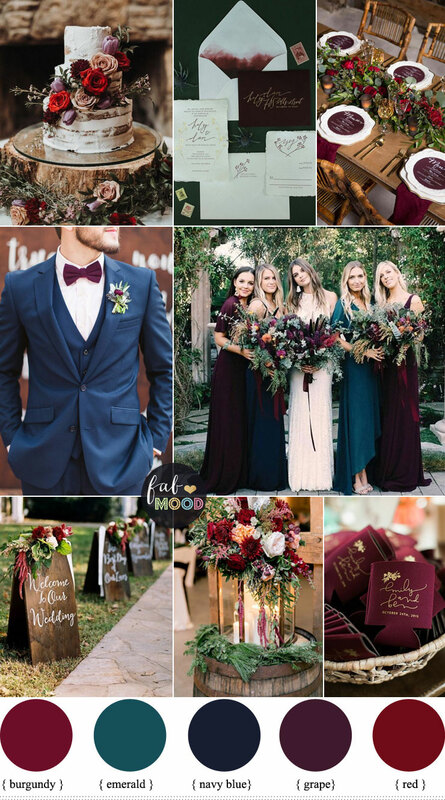 Autumn to me is all about romantic and gorgeous colours. I love the colours of autumn leaves & crisp in the air. The changing fall foliage never fails to surprise and delight us. The crunching sound when you walk through leaves and I know that I’m not alone. 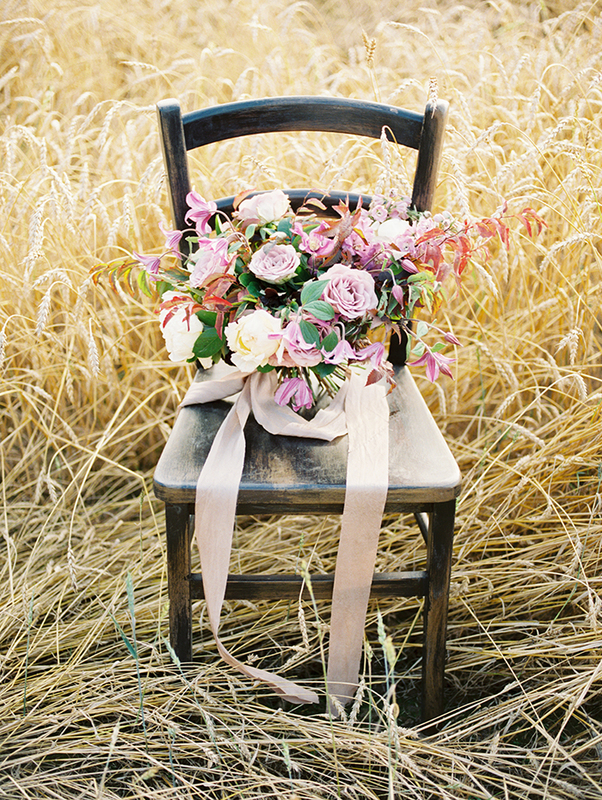 I’ve the most delightful mid-week treat for you lovelies! 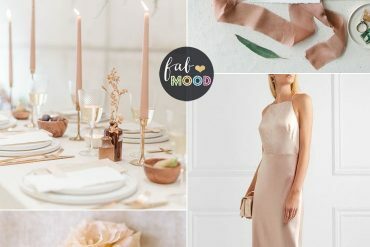 Are you ready for some serious dreamy and modern bridal look for an autumn wedding inspiration shoot? 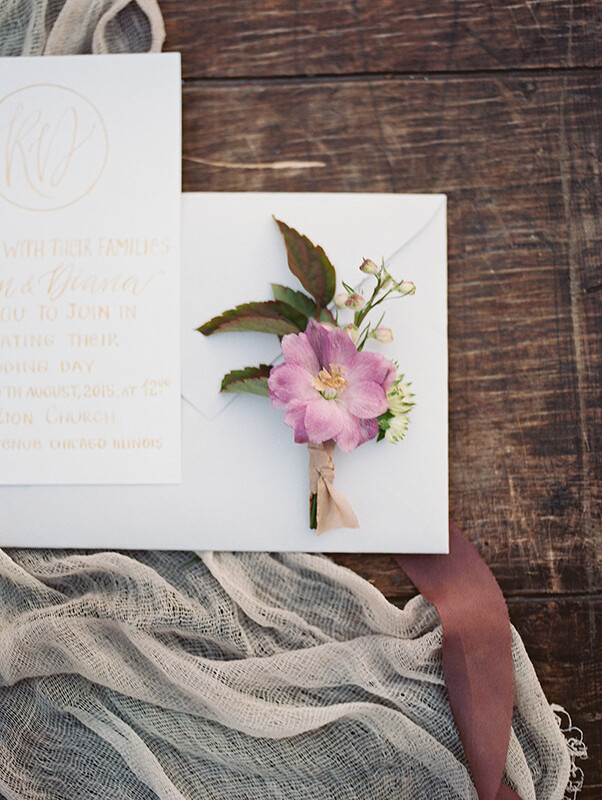 This beautiful wedding inspiration shoot I’m sharing features one of my all-time favourites. 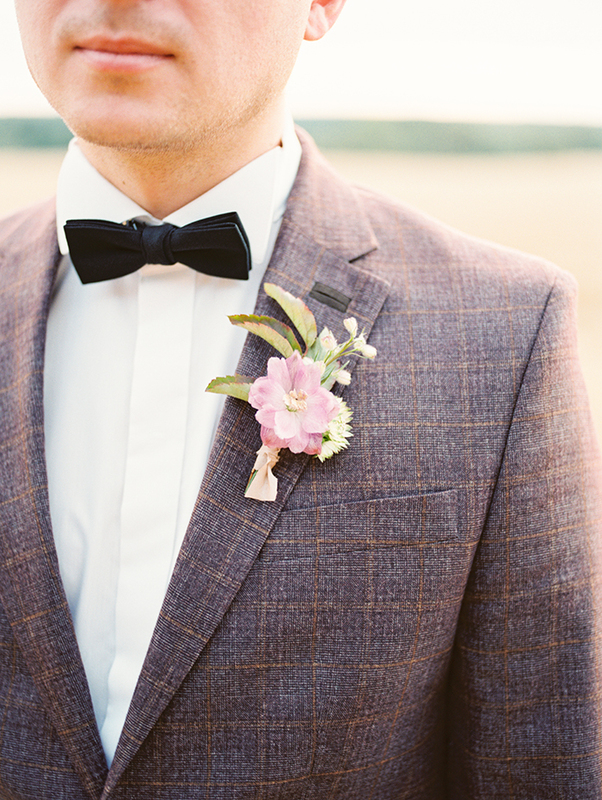 Igor Kovchegin and Romanova Photography captured them all, and I’m loving every single inch of it. 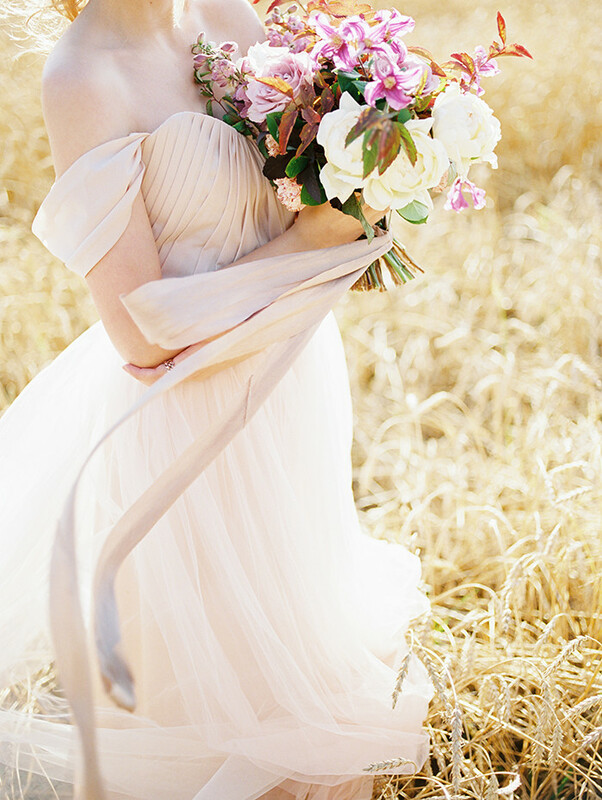 An off shoulder blush wedding gown paired with loose up do blending so well with wheat field. 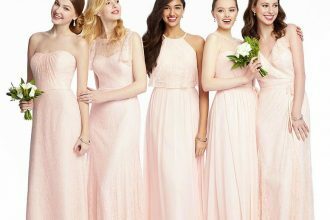 This blush off the shoulder wedding gown is defined by the way they show off the bride’s graceful shoulders. A loose updo is a lovely style to wear with a portrait neckline bridal gown. 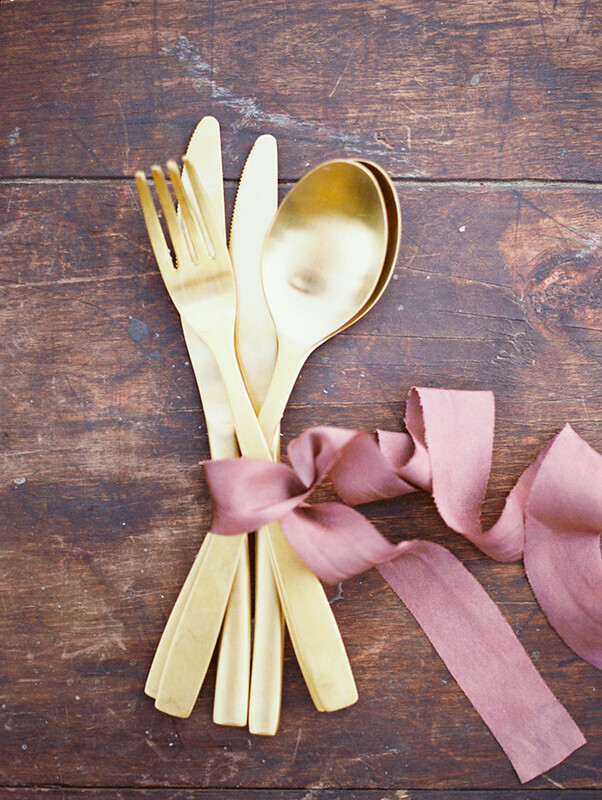 This transformation from rustic-to-refined inspired their design team’s “The Day before Autumn” wedding inspiration. 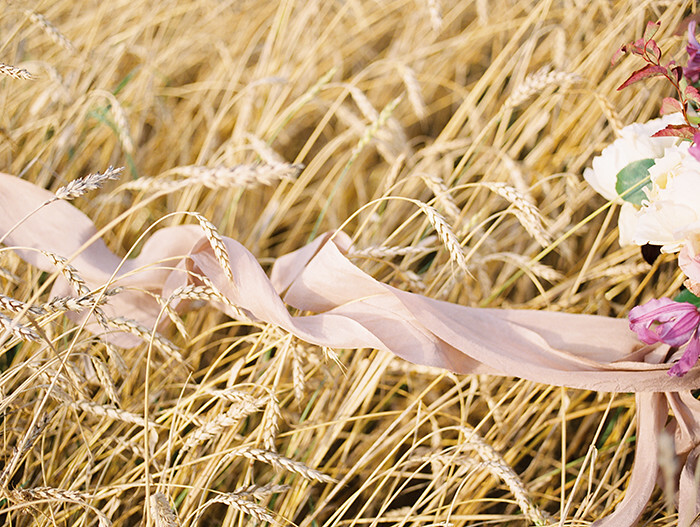 Partnering with Dream & Dress, they selected an off the shoulder blush wedding gown to complement the wheat field styling contrasts. 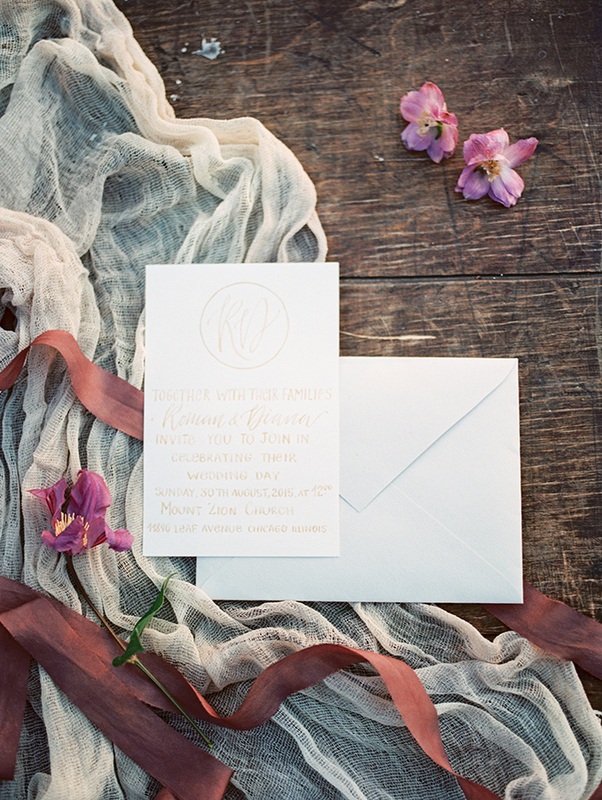 Styled by Dreams & Honey , they infused both dramatic and romantic qualities in styling by blending re-claimed, shades of purple bouquet , Purple hand-lettered wedding invitation sentiments for guests by Alina Ilyina and Plant Dyed Silk Ribbons & Textile by Fern’s Fairytale. 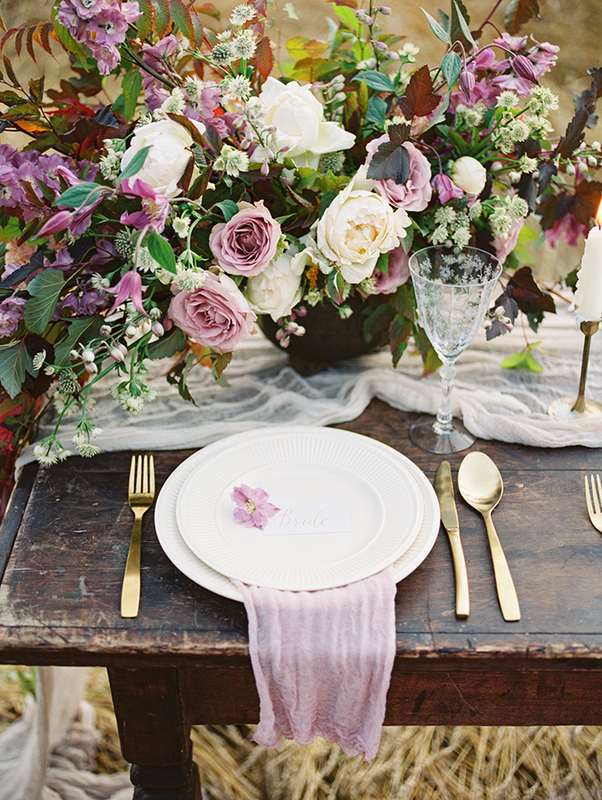 A gorgeous flowers in shades of lilac and hanging branches of centerpiece, repeating elements from the tablescape. 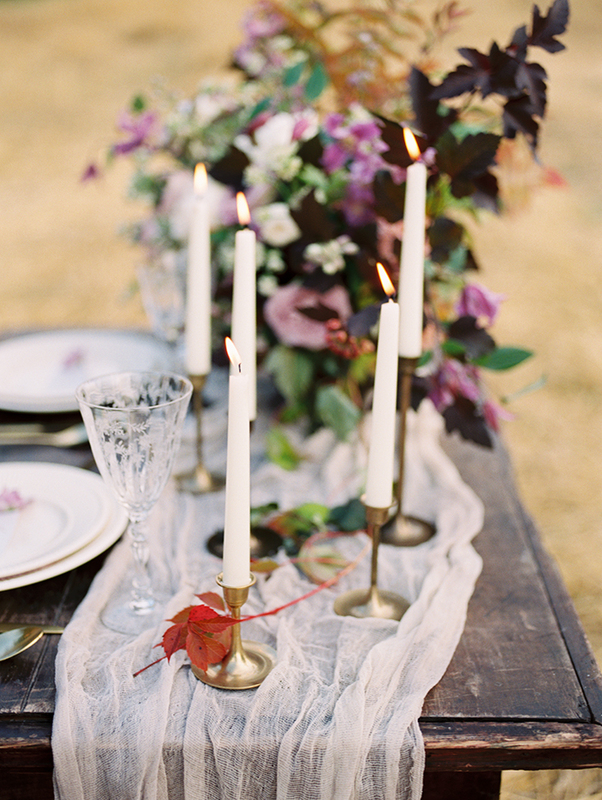 Turn Your Wedding Into An Ethereal Event With Taper candles which are a timeless classic. 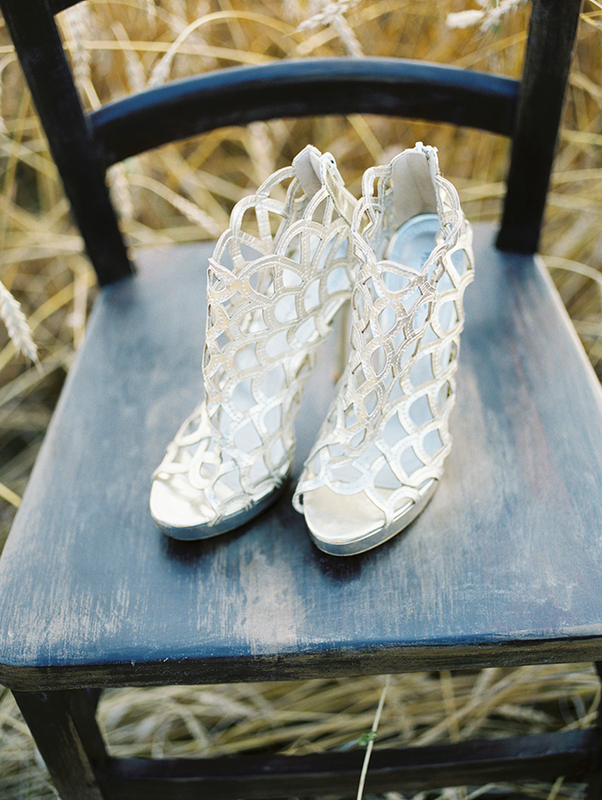 They are available in an assortment of colors and sizes. 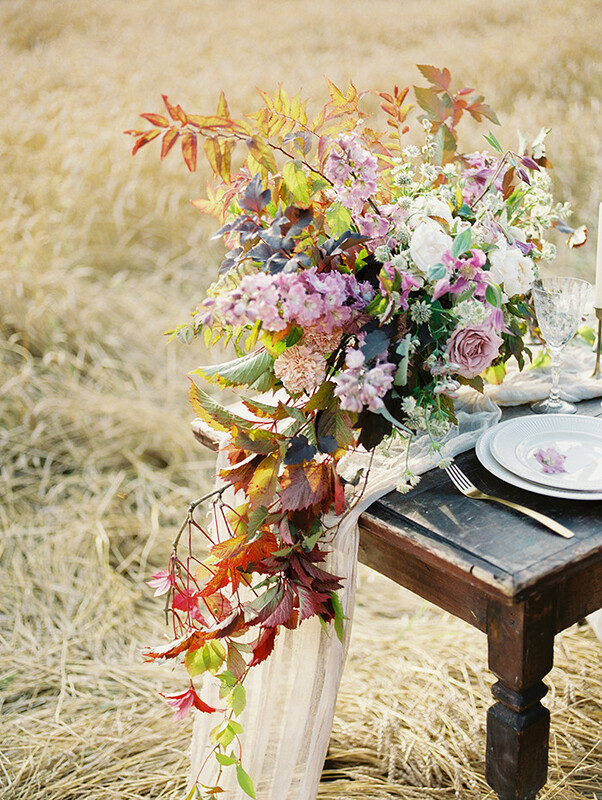 When grouped together on table, they give a spectacular appearance. 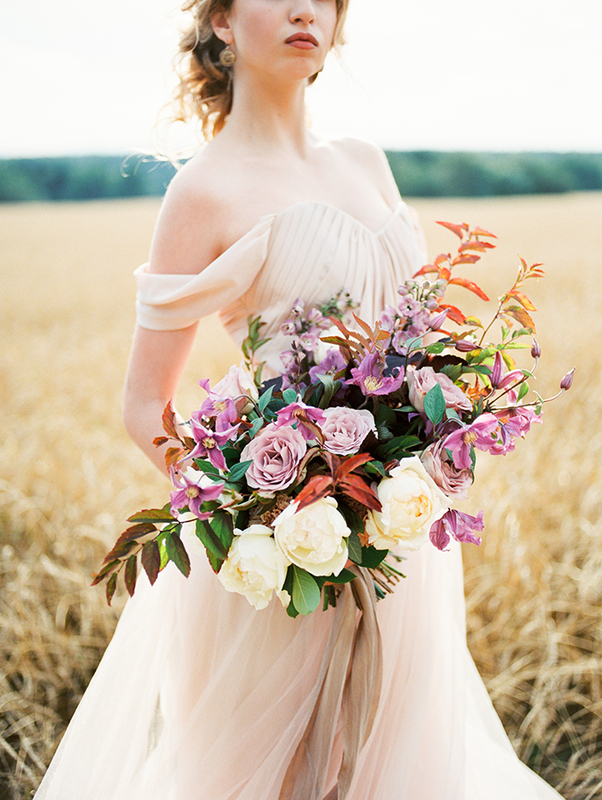 Gorgeous shades of lilac wedding flowers and autumn colour hanging branches. 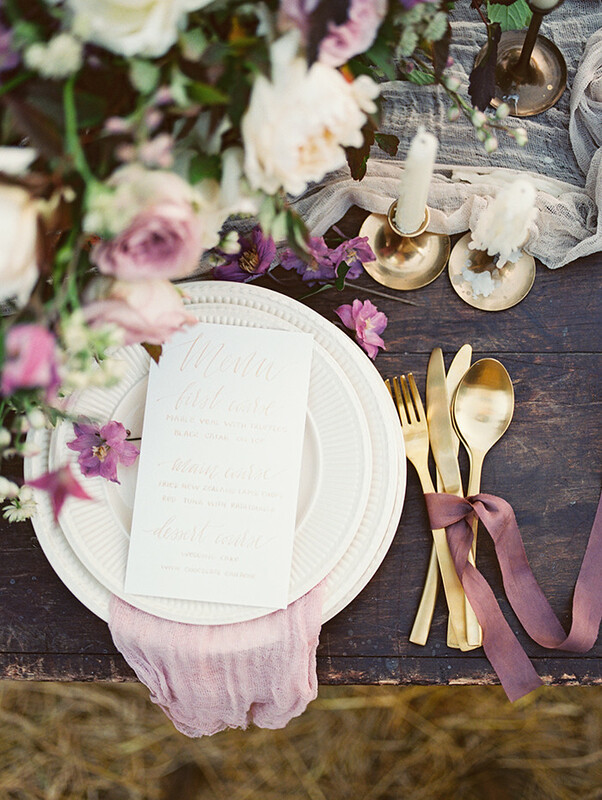 This wedding styled shoot is super stunning! Amazing pictures. Very well captured! 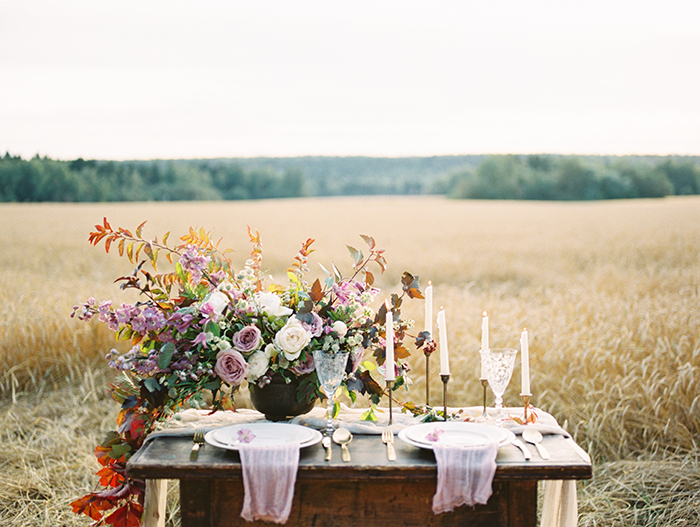 What a beautiful styled shoot! 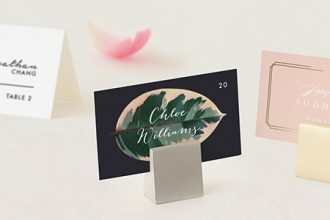 love everything in it and the colours so pretty. Well done. 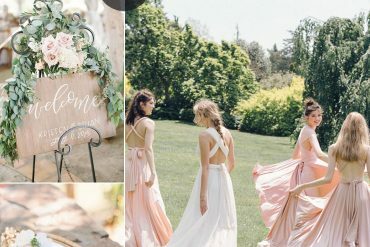 Very beautiful styled shoot and the dress!